The Future Of Libraries In The E-Book Age How will libraries survive the digital revolution? Publishers and librarians alike are trying to dream up new business models now that e-books are all the rage. 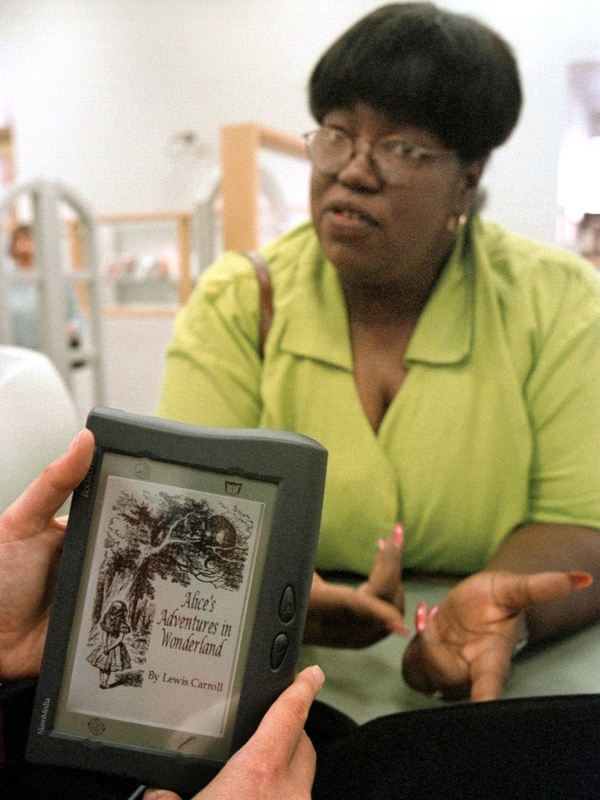 A lot of attention has been focused on the way bookstores and publishing companies are managing the e-book revolution. The role of libraries has often been overlooked. But when HarperCollins Publishing Co. recently announced a new policy that would limit the number of times its e-books can be borrowed, it sparked a larger conversation about the future of libraries in the digital age. These days, you don't have to go anywhere near a library to check out an e-book. You can download one to your digital device in a matter of seconds. And there's no more pesky overdue notices — the e-book simply disappears from your device when your time is up. "The fact is that with a digital item, if you give it to somebody you still have it. It doesn't have to come back," says Eli Neiburger, the director for IT and production at the Ann Arbor District library in Michigan. "Part of the models we've seen so far are still trying to force 20th century business models onto digital content," Neiburger says. "And any digital native says, 'You mean I have to wait to download an e-book? What sense does that make?' And they're off to the Kindle store to spend $3.99 or $4.99 or $9.99 to get that same book." 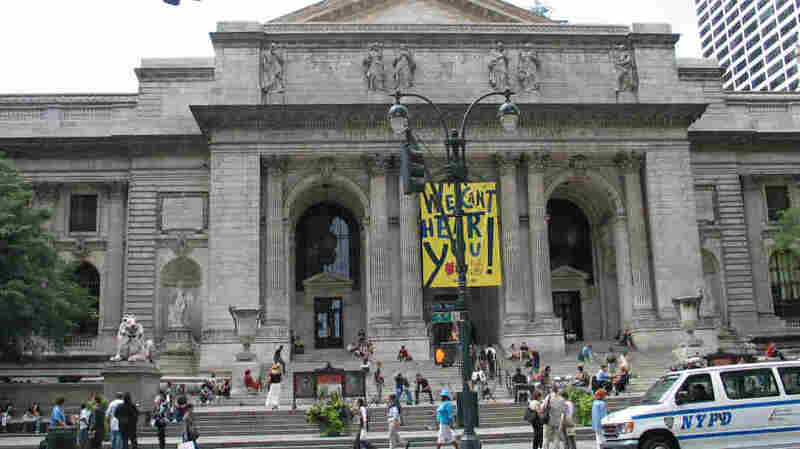 In the current climate, libraries worry they'll become obsolete. Publishers are afraid they won't be able to make any money. That's why HarperCollins came up with a new e-book policy that says an e-book can be checked out 26 times, after which it has to be repurchased. Leslie Hulse, a senior vice president at HarperCollins, says publishers have to place some limitations on the way libraries lend e-books. Chicago Public Library patron Anna Sykes talks with a librarian about the book Alice's Adventures in Wonderland, a title available on one of nine new Rocket e-books. Providing e-books is just one of many services that libraries are trying out in an attempt to stay relevant in the Kindle age. "I think the tension is, at the extreme, we could be making a book available to one national library on a simultaneous access model in perpetuity," says Hulse. "And what that would mean is everyone in the country could check out that book for free at any time, and that's not a commercially viable solution." HarperCollins may have raised the ire of librarians around the country with their new e-book policy, but Christopher Platt, director of collections and circulation at the New York Public Library, says the move has also stimulated a more public discussion about the future of libraries and e-books. "The HarperCollins limit isn't going to stick," he argues. "It's going to develop into something new. And Harper, to its credit, is engaged with libraries to see what would work." Platt has his own ideas about what might work for the future. He says libraries use intermediaries to manage both their physical and digital book collections. He thinks libraries could work with these intermediaries to develop subscription packages of e-books. Libraries would pay the publishers for these subscriptions and use them as they see fit. "So I'd buy a title with 1,000 uses, and then it's up to us and our readers whether those 1,000 uses get used simultaneously in the first few days or whether they get drawn out over time," Platt says. "And then if they do get used quickly, we'll buy more." Neiburger has more radical idea. He thinks libraries could deal directly with content providers: "The goal of the library is to obtain the ability to distribute content to its public. And if we can do that easier and more cheaply with the rights holder or the artist themselves and they make more money on it, then it may be heretical — but the future usually is." That idea has potential, says Platt, but it may not be practical in the long run. "In some scenario that will happen and that will grow," he says. "You will see more original content coming into library collections going forward and I think that's a wonderful thing, especially if libraries play a role in creation of that content. But on a regular matter of just ordering at scale the number of e-books that we add to our collection, that's a very difficult things to manage." From the traditional to the visionary, the conversation about libraries in the digital age has begun in earnest. Roberta Stevens, president of the American Library Association, wants more publishing companies to get involved in the conversation, because at the moment some publishers aren't even willing to sell e-books to libraries. Libraries may be able to survive without those books now, says Stevens, but in the future a lot of books will only be available electronically. "When we look at the future then we have to really think very seriously about what is our role — and how can we actually serve the millions and millions of people who use our public libraries everyday if we can't even get access to titles," says Stevens. Libraries have always been thought of as a kind of "temple of books" ... a place you can go to for peace and quiet, a place to read and think. They are intricate part of the fabric that pulls a community together. But if they are to be relevant in the future they will have to make space for themselves in the digital community as well.